Now that you have KiCad installed, lets go inside and have a look at its main components. Double click on the KiCad icon to start the program. This is the main window in KiCad. It gives you access to the various applications that come with it. On the left side, the left pane, you will find the project pane. The project pan contains the files and directories that make up your project. If you have just installed KiCad, then this area will be empty. Now, let’s concentrate on the eight large buttons on the right side of the project pane. These are the buttons that give you access to the applications that come with KiCad. A schematic is a graphical representation of a circuit, it’s a symbolic representation of a circuit. 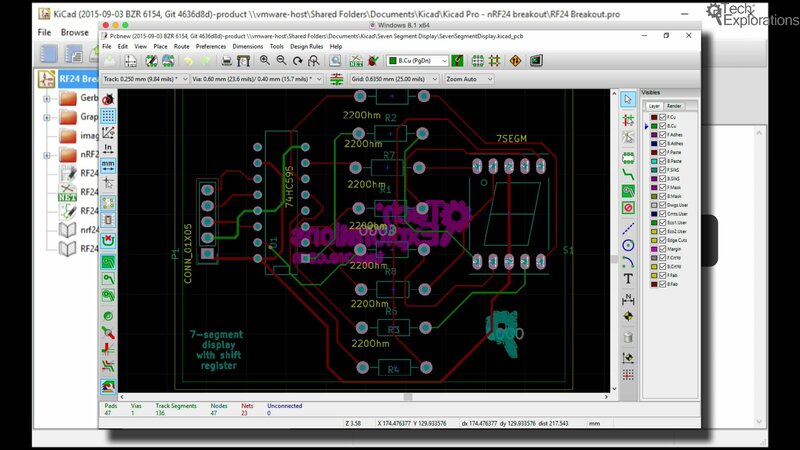 In KiCad we always start the process of designing a PCB with the schematic. 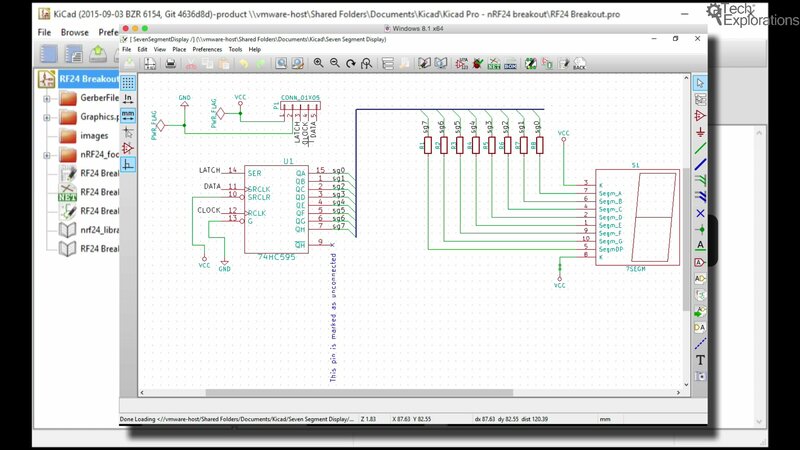 Through the schematic we let KiCad know what the components are that make up our project and what are the various connections and component value, description, and so on. 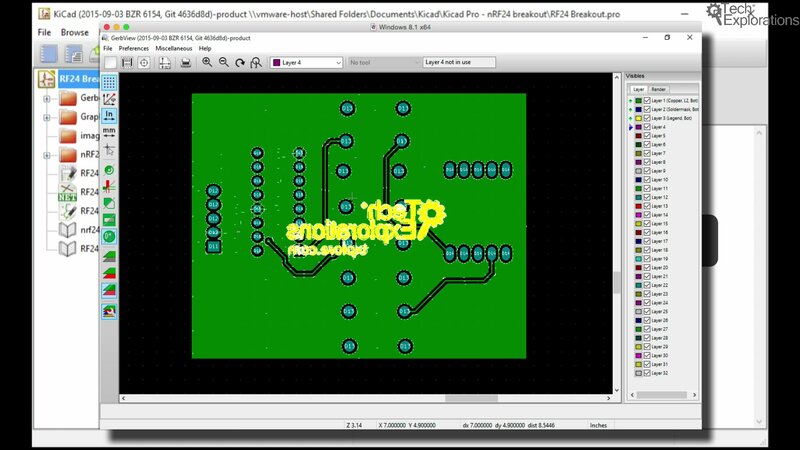 The next most important application that is part of KiCad is PcbNew. 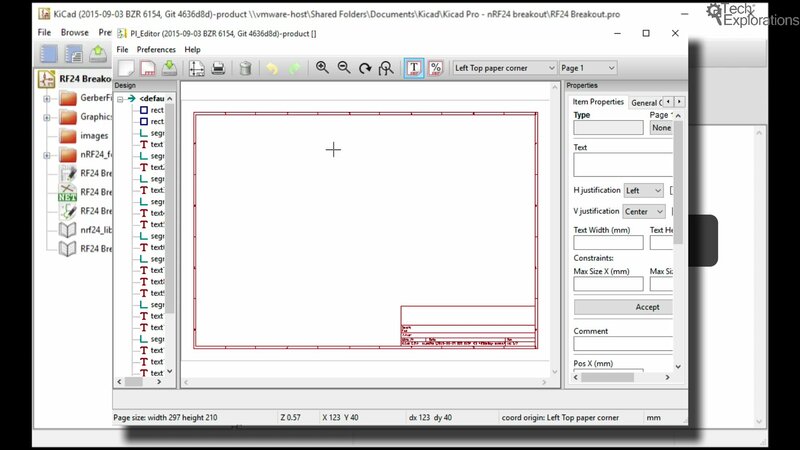 PcbNew is the PCB layout editor. PcbNew allows us take the information that we created inside EEschema and convert it into an actual Pcb that contains footprints of components and tracks that connect the various panes of those components together and many other bits and pieces that make up the Pcb and it looks like this. 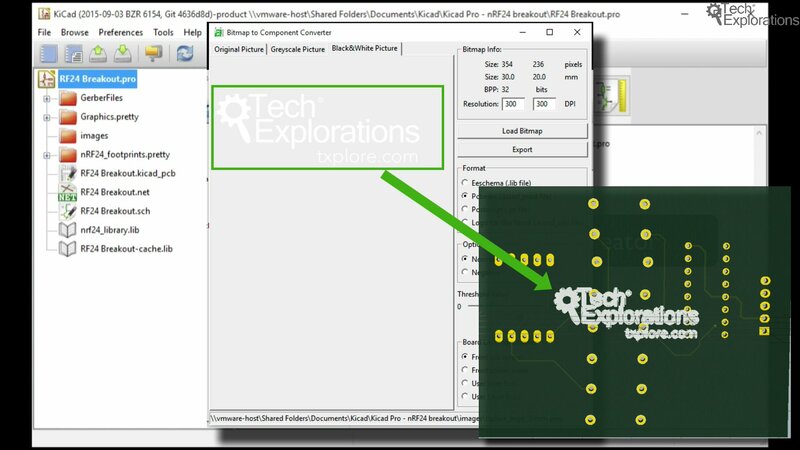 The EEschema and the PcbNew components are the two most important components in KiCad. There’s a few others that are supporting, for example this one here, it’s the schematic Library Editor. You can use the Library Editor to manage component libraries. You can create your own components, or import libraries created by other people. Components are the parts representing real life components that you insert in a schematic design. 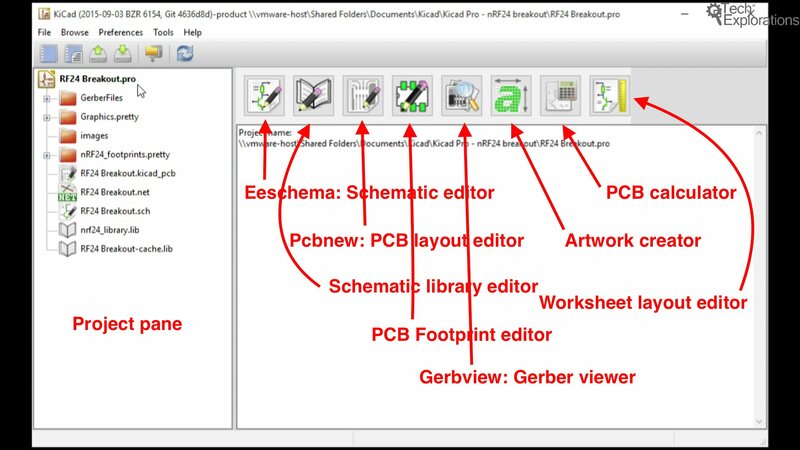 The PCB Footprint Editor is another helpful application that allows you to create footprints that you can’t find in the footprint library. Or, perhaps you have a component with a footprint that exists in the Footprint Editor and you’d like to make a small change to it, so again you’ll be using the PCB Footprint Editor application to do that. There is this application called GerbView. 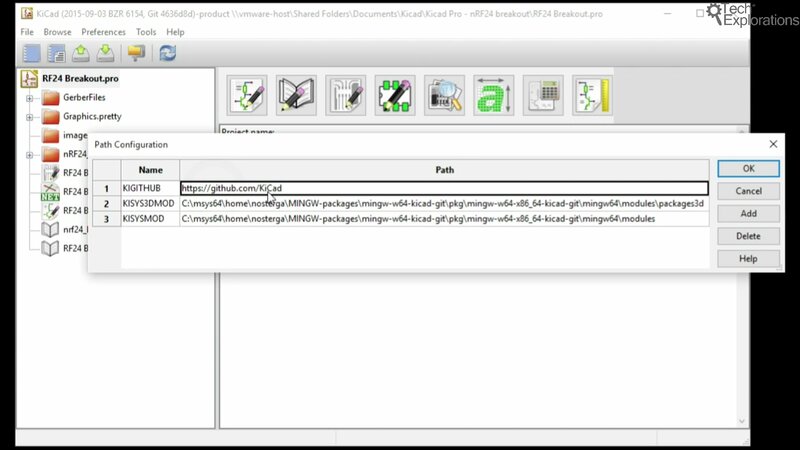 GerbView is an application that gives you a view of a set of files that are exported from Pcbnew. These are the files that you will give to the PCB manufacturer to make the actual PCB. Before you do that, you’d like to inspect these exported files visually. To do that you’ll GerbView. I’ll show you how that works later plus we’ll also going to be using a third party Gerber file viewer that I find very useful because it also checks for errors in your Gerber files. Next, there is a little application called Bitmap 2 Component. This allows you to convert an image into a footprint so that you can put it on your PCB. Let’s say for example, that you have a nice image like a logo for your company perhaps, or even a graphic that you like to put on your PCBs. To do this, you need to convert the graphic into a footprint using Bitmap 2 Component. Next, we’ve got a bunch of calculators in a small application called PCB Calculator. 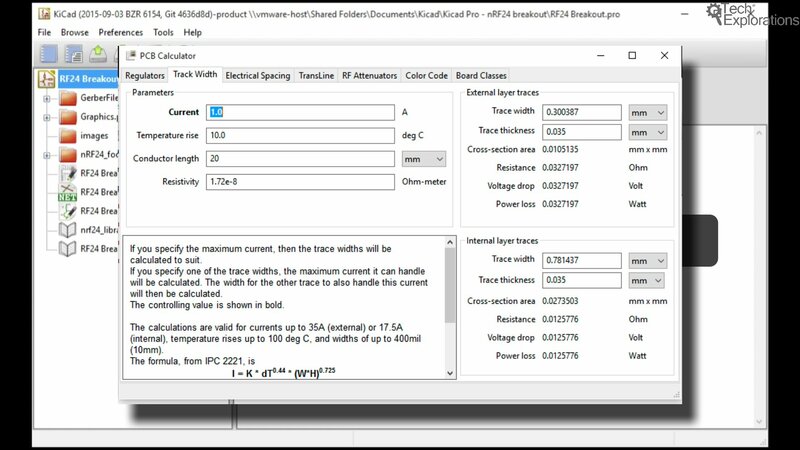 We will use the PCB Calculator to calculate the width of a track for power tracks and it can also be used to do a bunch of other calculations. It’s a very handy tool. Finally, we’ve got the Pi Editor, which is the worksheet layout editor. This allows you to make changes to the way that the schematic worksheet looks like. I’m not going to be using this tool at all because I like the schematic worksheet the way it is anyway but it is here if you need to use it. These are the main components. There’s a few other things that are good to know. For example, from the Preferences menu you can access the Kicad Paths editor, from where you can configure paths. In the Kicad Path Configuration window you can specify the path to the online repository for footprints and schematics, among other things. You can see that we’ve got access to GitHub.com/KiCad. This is the online location where footprints and schematic components are stored and where your Kicad installation will retrieve them from. You can, of course, choose to have these libraries installed on your local machine, however you will then need to update them manually as they will eventually be out of date. In the next chapter we will talk a little bit about documentation and where you can go for help if you need it.